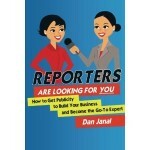 Publicity Speaker Dan Janal Asks (and Answers) What Do Audiences Really Want from a Speaker? Home/Free publicity, Speaking/Publicity Speaker Dan Janal Asks (and Answers) What Do Audiences Really Want from a Speaker? When I spoke at Clemson University’s conference on how to market online training programs and seminars, I came to an important realization after hearing two speakers who preceded me. 1. They offered good, basic, solid information about marketing. I knew most of it, of course, but many people in the audience didn’t. 2. Their delivery was professional, but nothing flashy. 1. You don’t have to be the thought leader and keep creating cutting edge material. Most of your audiences aren’t on that level. They want to know how to do their jobs better. They want and need solid, basic information. It will be new to many people and it will reinforce ideas in people who already know the info. 2. You might think the whole world knows the material you take for granted, but they don’t. They really don’t. They want to know what we know and they will pay for it. It is easy to forget this when you do the same presentation over and over. 3. You don’t have to be Jay Leno to win over an audience. They want you to succeed. They don’t expect to be entertained. They expect to walk away with information they can put to use. What have you found that gets your audience to start taking notes?